Table of Contents The Authors. Foreword to Volume IV. How to use this book?. Consolidated Analytical Table of Volumes I, II, III and IV. 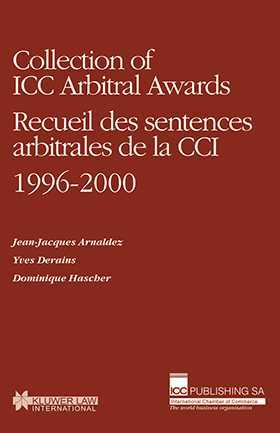 ICC Arbitral Awards 1996-2000. Keyword Index. Table of Cross-Referenced Cases.